Now in its 10th year, the Red Paddle Ride 10’ 6’ has deservedly become the market’s most desired all-round iSUP. Like gold dust second hand, this slightly tweaked 2018 model retains its appeal as a very refined inflatable. Superbly finished off with class leading accessories, the new Special Edition give a smart female touch to the colour. This 10’6 comes supplied in a new improved tailored, wheeled-backpack with a paddle holder inside and back straps that are stowed by Velcro. There’s a new improved double-barrelled titan pump and more cargo attachment points on the nose, and a new ‘Red” logo’d deckpad and a cam mount on nose. Good solid handle on rear, toe point under the nose and unbreakable tri fins under a wide stable tail, all built in a double layer “MSL” construction. 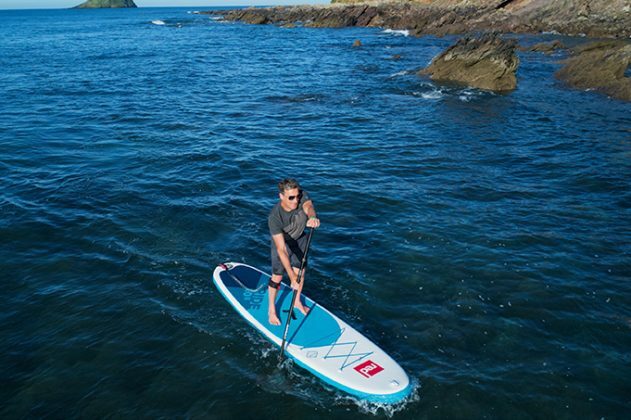 Such success is due to the unrivalled quality, durability and innovation of all Red Paddle Co boards, but also the versatility of the Ride 10’6’ inflatable SUP. It’s designed to float and glide easily on flat water, and it has just the right amount of curve in the plan shape so it rides smoothly and predictably in surf, no matter what kind of rider you are. And it’s 4.7” thick, which increases stiffness while not affecting ride and performance. Practical cargo tie-downs complete an iconic package. The Red Paddle Ride 10’ 6’ has been so popular for so long as it just feels great on the water. There are plenty of stiffer, thicker boards which would sometimes make you feel high and dry but slightly wobbly, if you go any thinner than the 4.7” they tend to be pretty bendy. So the rigid and more ‘in the water’ feel really works for the 10’6. The tail is generously in width so gives you a secure feeling when you step back. The deck pad is great looking and feels right under foot. The centre handle sits flat on the deck and the 4-ply rails give a very hard feel to the board on the land. The best quality of this established board is it doesn’t really put a foot wrong, it’s not ostentatious, it’s not high fashion, it just works very well. OK a larger centre fin would improve tracking but that would compromise its ultimate durability. Thousands of people own this board, but hardly anyone sells one on, the resale value on the Red Paddle is outstanding. 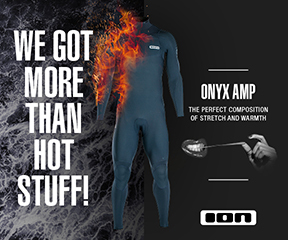 It’s simply the most sought after board on the iSUP market. Should you buy one? I don’t think you’ll ever find someone to talk you out of it. It’s a classy, market leading product.